I just love the feel of sun dried towels. They wick the water right off of you and are so rough you can exfoliate as you dry. What more could you ask for? Not to mention, Mother Nature is providing all the energy we need to do this task. There is no need to run your dryer, wasting precious dollars on drying clothes. I think my dryer costs like fifty cents everytime I use it. I use it 2x a day, that’s, yes, $30 per month that I could be saving just by hanging my wash! Yes, you can, too! I am extra lucky because my every handy husband has made this line for me and I can just stand on my deck and hang the clothes and push the line away on the little wheely thing he made. Just like the ladies in the cities in Romania or Italy or anywhere. 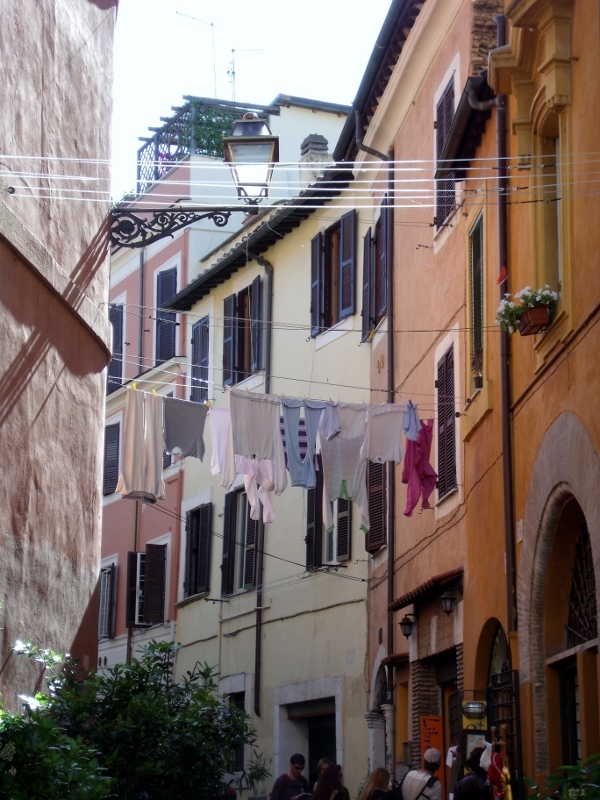 Hanging their wash from their apartment windows. My view is better, but I can’t shoot the breeze with the neighbor while I work. Oh, well. Can’t have both! 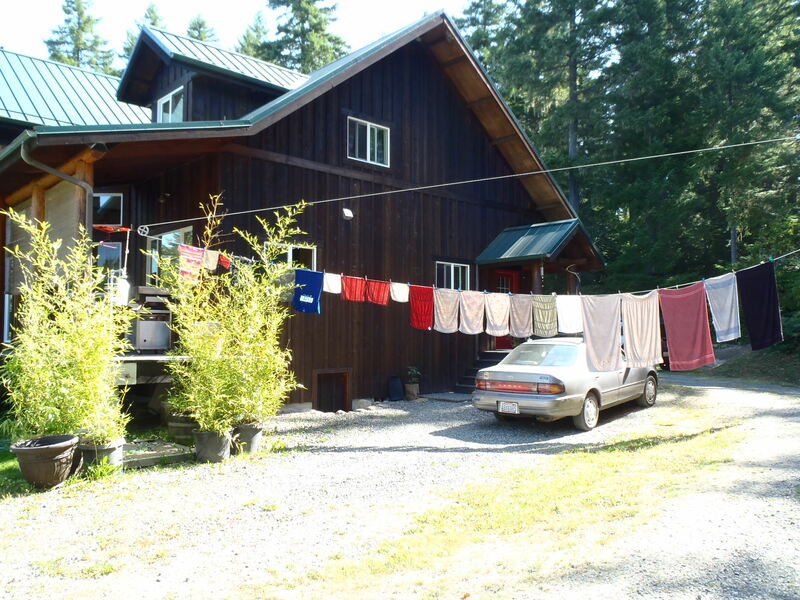 This entry was posted in randomness, Self Reliance, Simple Living and tagged clothes line. Bookmark the permalink.